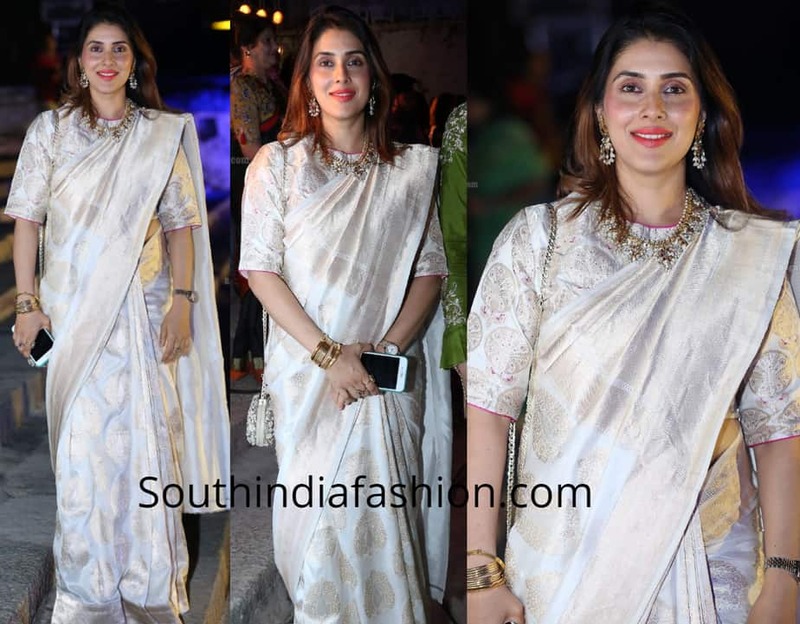 Keerthy Reddy attended Gudi Sambaralu event recently wearing a white Banarasi silk saree with matching closed neck elbow length sleeves blouse. 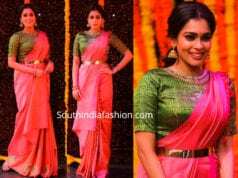 She styled her outfit with traditional guttapusalu necklace set, gold bangles and an embellished chain bag. Coral lip and blow dried hair rounded out her look!